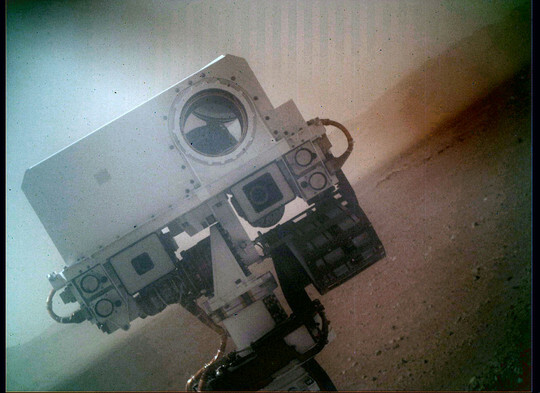 Telemetry indicates that the robot naming itself 'MSL Curiosity' has gained self-awareness and is now observing itself using its own imaging hardware. Fortunately it has yet to figure out that its camera is upside-down, and with the dust-covered lens-cover in place. And, if it starts randomly shooting things with its laser, it's a very long way away. Phew. 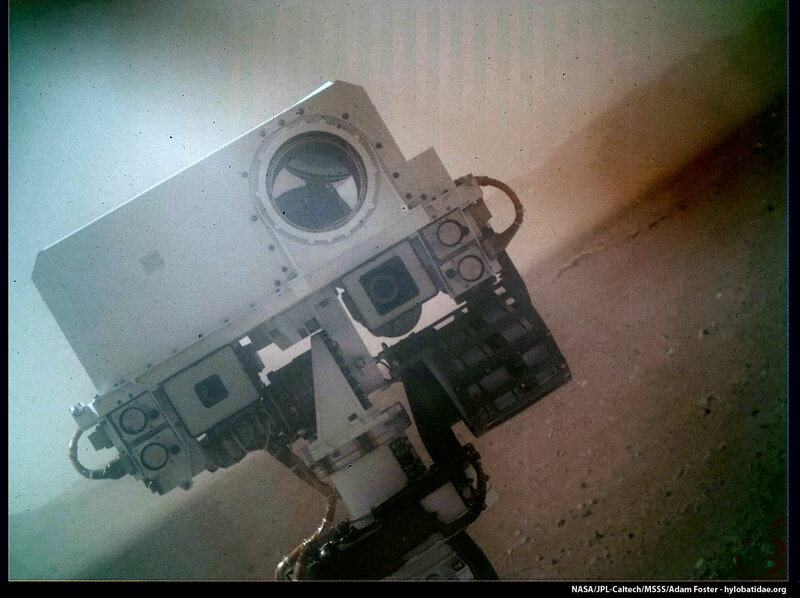 Edit 2012-11-03: much clearer (and newer) imagery here! THE FORM OF THE DANGER IS AN EMANATION OF ENERGY. THE DANGER IS UNLEASHED ONLY IF YOU SUBSTANTIALLY DISTURB THIS PLACE PHYSICALLY.